Now a modern housing development. But strangely enough, the old pub sign still stands. 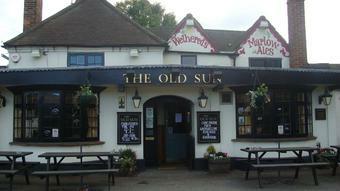 The Old Sun has recently changed hands Byron & Georgina have left and Lee has been given the position of Manager. The pub now has 2 hand pumps and boasts a regular change of ales. These are �2.80 and larger starts at �3.00 to �3.20. Some times its hit and miss in the evening with rowdy people in the bar and TV area, but I have been promised that this is an issue and is being looked into. The Garden is now regularly mowed and child friendly, now with a lack of dog mess I will let my son (4 and half years) play . 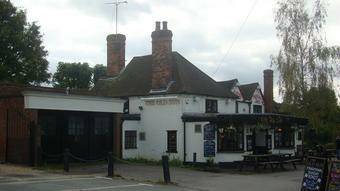 All in all the pub has changed, just needs to find its feet and get roots again.